October 21, 2015 systemschangeconsultingLeave a Comment on Which Students Overcome Suspensions? While I have written a lot about the problems with zero tolerance policies in school fueling the school to prison pipeline, a recent analysis provides new insights into which students overcome the burdens imposed upon them when they are suspended from school. 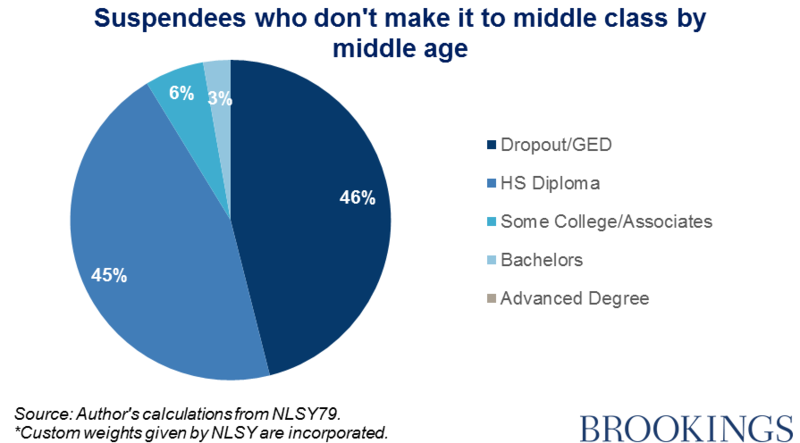 According to the analysis by the Brooking Institution, high school graduation rates are significantly lower for students who are suspended. 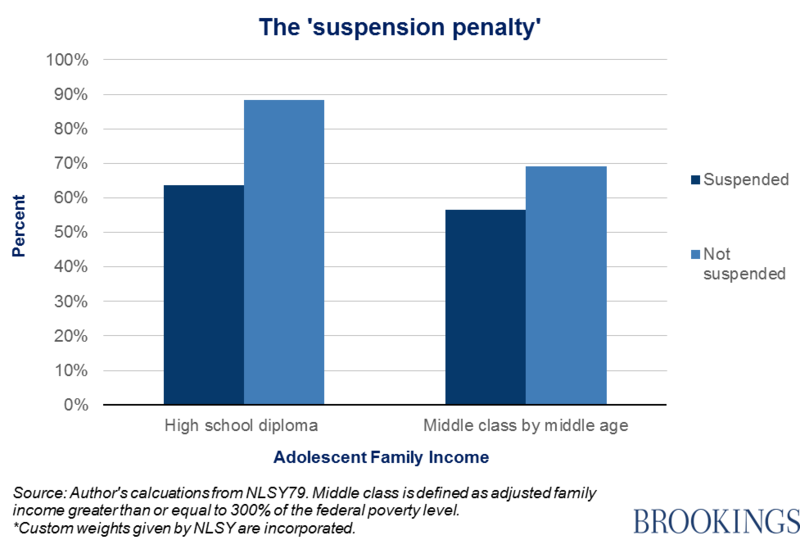 This leads to lower income later in life as the “suspension penalty” carries into adulthood. It is well documented that school discipline is disproportionally meted out on students of color, those with disabilities, and those who are low-income, which is a problem in my hometown of Madison, Wisconsin. 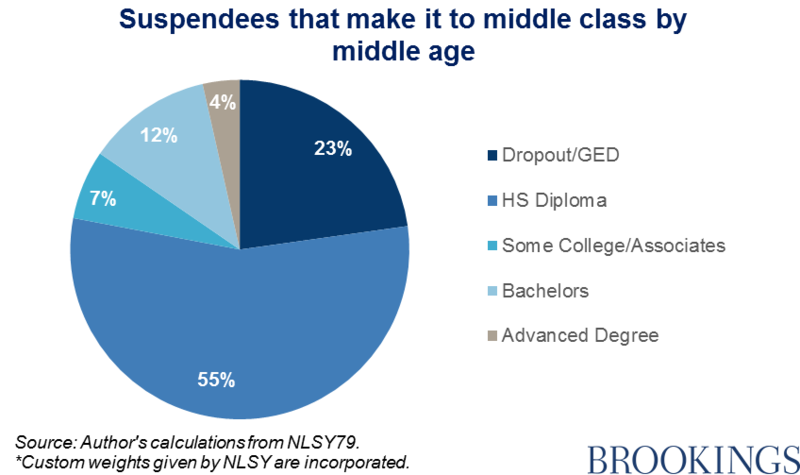 But, as the Brookings analysis points out, economic success later in life for suspended students is impacted greatly by whether or not the student graduates from high school and obtains further education. 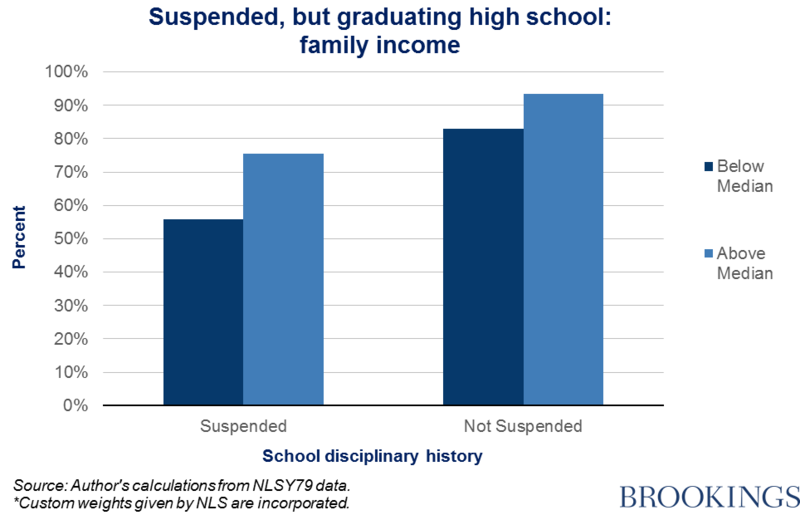 Not surprisingly, then, family income is directly related to whether or not a child is suspended. The Brookings analysis also examines two other critical factors which help determine whether or not a child can overcome the burden of suspension. 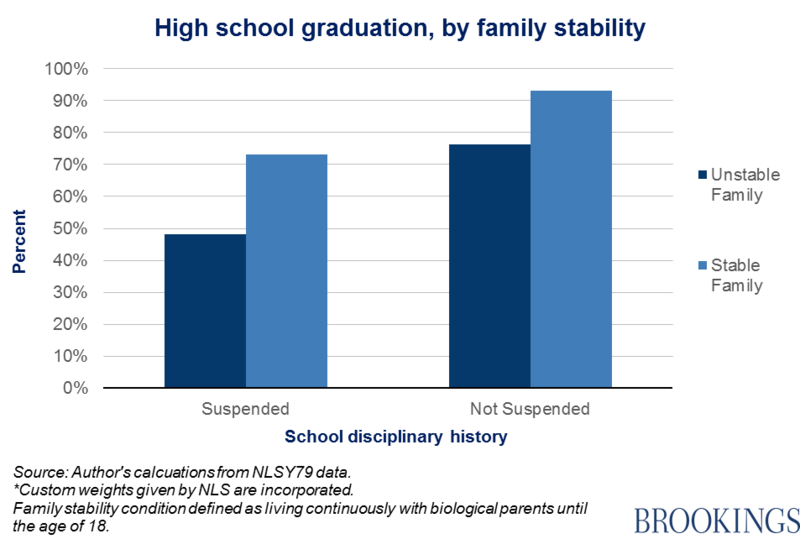 First, students who live with both biological parents through age 18 have a much better chance of overcoming the burden of suspension. Finally, whether or not the student’s mother graduated from high school has a strong correlation to whether or not the student graduates. This correlation is particularly profound for students who are suspended. Thus, while school discipline policies must continue to reduce the likelihood of suspension due to the long term problematic outcomes for suspended students, the larger picture of family stability and parental success must also be supported if we hope to stop the generational poverty which burdens our society.